Why does e-Court calls itself a court ? According to Webster dictionary a court is " an official assembly for the transaction of judicial business". Case law means "law established by judicial decision" A judge is "a person who speaks right." The terms 'court' and 'judge' and 'arbitrator' and 'right' and 'litigation' are not legally protected. Nobody has the exclusive right to the use of those words. Is there any likelihood of confusion with the name court? Between the traditional name "court" and e-Court there can be no confusion. e-Court stresses where possible it is not a public court, but a private foundation. Lawyers and legal advisers of the conflicting parties, because of their training are in a position to clarify the difference and inform their clients as such, if deemed necessary. Is e-Court a real court ? Yes, e-Court is a real, albeit a private court.e-Court aims to provide competent, affordable, speedy and fully transparent justice. e-Court offers a predictable process and a binding verdict. e-Court is not a government institution. The basis for e-Court is Article 16:970 of the civil code. Is the verdict is legally binding? Yes, it is. The verdict of e-Court is based on contract principles ( e.g binding arbitration ). Furthermore, with a defendant resident in e.g Louisiana, Scotland and Quebec the verdict is even enforceable. Here parties receive a notarized & certified copy of the ruling.Article 433a states that: "Certified copies of a ruling , past deeds and other by law enforceable instruments are appropriate documents and legally binding." Is e-Court a foundation for mediation between conflicting parties ? No it is not, with mediation, the parties negotiate a solution themselves. With e-Court parties voluntarily give up the decision in the hands of the court. Parties mandate explicitly the e-Court to rule with a notarial deed and to receive a certified copy of the ruling. Also, parties waive appeals to other than e-Court legal avenues. Are the e-Court arbitrators & judges truly independent and impartial? e-Court has many safeguards build in the process. 1. We select arbitrators & judges who are able to assess whether a conflict of interest exists. 2. We make appointments with judges strictly based on a code of conduct. 3. Parties may make a request to challenge any ruling if they believe that the arbitrators & judges have not been independent and/or impartial. 4. There is an evaluation system in each case, where parties, their representing lawyers and judges give feedback on the e-Court procedure. 5. There is appeal possible where a new arbitrator or judge looks at the case. 6. Contact with the arbitrator or judge only possible through the e-Court system. An email to the arbitrator or judge goes automatically to the other party. 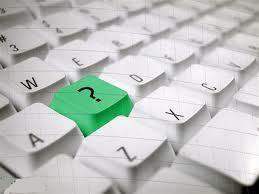 Who ensures the quality of e-Court and how you monitor its legal quality? The administration and board of the Foundation is responsible. The independent supervisory board supervises the administration. Both in terms of legal quality, the safety of the website and incoming and outgoing money flows. e-Court has taken measures to guarantee the legal quality, these include: 1. The selected arbitrators & judges are specialized in civil law. 2. Arbitrators & Judges all have formal law school education with at least 10 years experience as a lawyer. 3. Arbitrators & Judges can be (old) notaries, lawyers and judges. 4. The administration and board of the foundation as well the supervisory board read all rulings for quality. Although the administration has no influence on the assessment of the case, it may well lend support (from other Arbitrators & Judges) on final rulings. 5.Detailed legal computerized systems prevent manual errors in rulings, both on the allocation of costs in the actual ruling and whether or not particular taxes should be included. e-Court has taken all measures to safeguard information. The website is heavily protected like internet banking with leading banking institutions. The security of the site remains constant in our attention. What does SSL protocol on the site mean ? The SSL protocol is used by millions of e-Business providers to protect their customers ensuring their online transactions remain confidential. In order to be able to use the SSL protocol, a web server requires the use of an SSL certificate. Sites will get SSL encryption to cover any area that involves an exchange of data including login boxes, credit card payments, or any personal information. All web browsers have the ability to interact with SSL secured sites so long as the sites SSL is from a recognized Certificate Authority. The Internet has successfully created many new global business opportunities for enterprises conducting online commerce. However, that growth has also attracted fraudsters and cyber criminals. The increasing awareness of online fraudsters and cyber criminals has presented an opportunity for ecommerce providers to capitalize on consumer fears by displaying trust indicators. Just like the real world, people need to be confident before they proceed down an unknown path.When a SSL Digital Certificate is installed on a web site, users can see a padlock icon at the bottom area of the navigator. 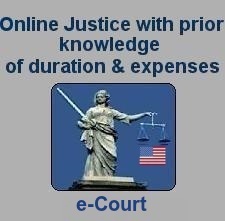 Is it difficult to litigate through the e-Court website? It is very simple. If you manage to read this internet page and have private e-mail, you have all the skills in house to join e-Court. How can litigation be so cheap? We eliminated all delays and inefficiencies in the trial. Furthermore, costs can come further down through automatic alerts & information via e-mail. The time an experienced expert judge should spend on your case, is pure thinking, not paperwork. This saves the cost.